Will Apple's control-freakery turn personal computers into big iPhones? 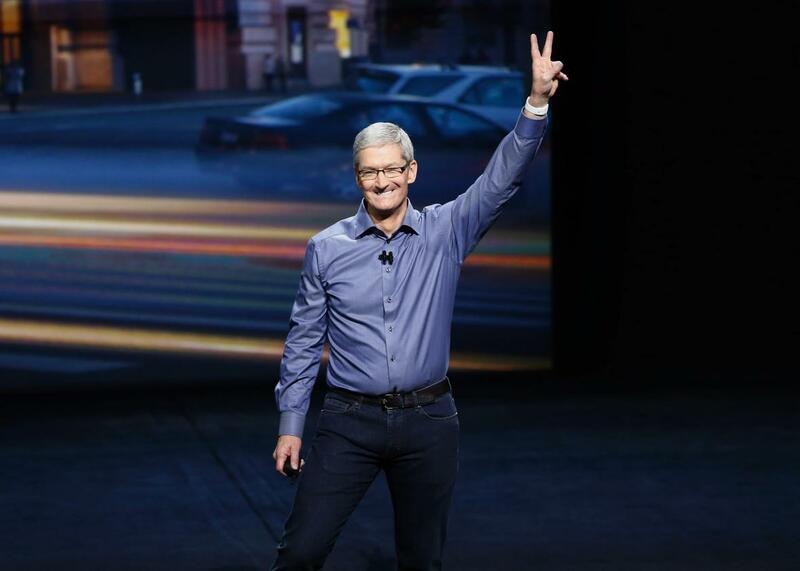 Apple CEO Tim Cook waves as he arrives on stage during an Apple Special Event on Sept. 9, 2015, in San Francisco. When Apple introduced its latest tablet computer earlier this month in San Francisco, CEO Tim Cook called the iPad Pro—a large-screen tablet with a detached keyboard—the “clearest expression of our vision of the future of personal computing.” The general reaction to this, once people stopped tweaking Apple for reinventing the Microsoft Surface, was applause. Is Apple planning to make all its personal computers iOS devices at some point? That’s unclear, but this would not be a positive move for user freedom. More than any other major computing platform, iOS limits customer choices to those Apple deems appropriate—in large part by forcing software developers to get permission before selling, or even giving away, the apps that run on the platform. On the Mac, by contrast, users can obtain and install the software they choose, without Daddy Apple’s permission. Apple’s control of the iOS ecosystem does offer convenience. Want to get an app for your device? Just log onto the App Store and you can find all kinds of things—and, Apple claims, it carefully vets everything to prevent malware from taking over your phone or tablet (or, soon, tabletlike personal computer). But Apple’s legion of fans might want to take note of several other bits of recent Apple news relating to the iOS ecosystem. The first is a major hack that led to malware being distributed through the App Store. Software developers unwittingly downloaded and used development tools that had been modified, so when they uploaded their apps to Apple, the apps were infected. Neither they nor Apple caught the hack until some number—it’s unclear how many—of users had installed the malware-laden apps, including versions of several hugely popular ones such as WeChat, on their devices. Apple’s tight grip on iOS has another worrisome element: the app approval process that goes way, way beyond security and into the content of the app itself. Apple is asserting that it has the right, and the duty, to prevent its customers from seeing things that Apple, in its sole judgment, considers offensive or fotherwise objectionable. Under its vague guidelines, Apple decides if something is too icky to be sold (or even given away), and app developers have no recourse. This has led more than once to content controls that are offensive to free speech itself. In the most recent case, journalist Dan Archer found himself stymied by the Cupertino content cops when he tried to ship an app that combined virtual reality with politics. As you’ll see if you read his post, Apple was at best opaque in its reasons for not permitting the app to go into the store. It wasn’t the first time Apple has done something like this, incidentally. “Either Apple and other platform developers need to be far more transparent in their adjudication process, or they need to give rejected apps more concrete feedback,” Archer wrote. I’d go further. They should not be the world’s moral police. If they think someone might be offended by something in their story, assuming it’s not illegal in the first place (and very, very little speech is illegal), they should set aside an area for people who want to check out material that others might find deeply offensive. If we end up allowing free expression to depend on Apple’s (and Facebook’s and Google’s, for that matter) terms of service, we’re in trouble. Tech hardware companies are steering us toward a world where the people who buy things don’t really own them. Apple has moved harder, and faster, toward this future than the rest. If, as Tim Cook seemed to be suggesting, the future of the Mac is the iOS ecosystem, then people who use Macs should be factoring that into their thinking. Today, you can load whatever software you want on your Mac. Tomorrow, Apple may decide otherwise. This is progress?